Bodies arrive day and night from far and near to be cremated at Jalasi Ghat, the cremation grounds at Manikarnika Ghat, Varanasi, India. One hundred or more times a day male family members carry a loved one's body through the narrow streets on a bamboo litter to the Ganges River shore?a place of pilgrimage for Hindus during life, and at death. Not every Hindu can be cremated here, because of transportation costs and logistical considerations. 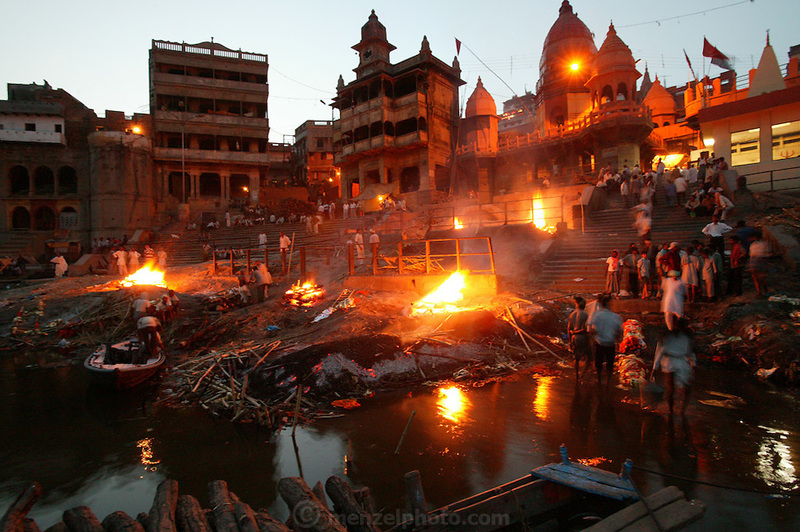 Sometimes a body is burned in one location and the ashes brought to Varanasi.